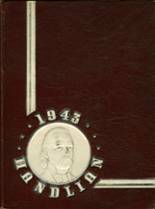 If you want to buy a John Handley High School yearbook or sell your John Handley yearbook, this is the place to do it. Just make a post below to find another person who went to school in Winchester to make the trade. You can also find out what other graduates are doing now, share memories with other alumn, upload pictures from John Handley and find other alumni. 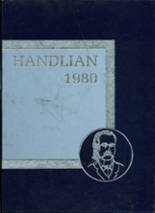 This is a 1990 Handlian yearbook in excellent condition. Nice tight binding. There is NO WRITING IN IT whatsoever. I only ask for you to cover the shipping costs from Cincinnati, OH. It's usually just under $5 for media mail. 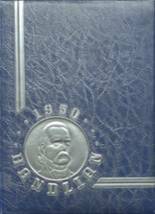 Looking for a yearbook from John Handley High School 1986 for my brother . His was lost while he was in the Desert serving his country! My house burnt to the ground in 2007 and so lost all my yearbooks. 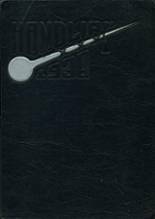 Would love to get the 1978 yearbook. I am looking for a 1972 handling. 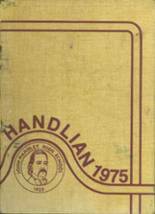 This is a 1971 Handlian yearbook in excellent condition. Nice tight binding. It belonged to my dad and his name is imprinted on the bottom corner of the cover. Also, it does have messages from classmates written in it. I only ask for you to cover the shipping costs from Cincinnati, OH. It's usually just under $5 for media mail. 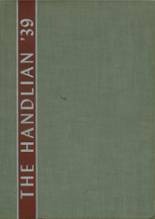 This is a 1970 Handlian yearbook in excellent condition. Nice tight binding. I have flipped through it several times and as best I can tell there is NO WRITING IN IT whatsoever. I only ask for you to cover the shipping costs from Cincinnati, OH. It's usually just under $5 for media mail. 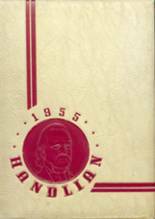 This is a 1969 Handlian yearbook in excellent condition. Nice tight binding. It belonged to my dad and his name is imprinted on the bottom corner of the cover. Also, it does have messages from classmates written in it. I only ask for you to cover the shipping costs from Cincinnati, OH. It's usually just under $5 for media mail. 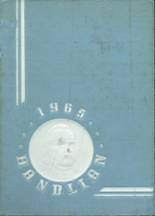 This is a 1968 Handlian yearbook in excellent condition. Nice tight binding. It belonged to my dad and does have messages from classmates written in it. I only ask for you to cover the shipping costs from Cincinnati, OH. It's usually just under $5 for media mail. 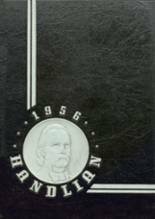 This is a 1967 Handlian yearbook. It belonged to my dad and does have messages from classmates written in it. 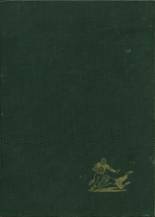 The binding on the pages is still perfectly intact but it is not completely attached to the inside of the front cover. Hard to describe and it sounds worse than it is. I think if you are looking for this particular year you would be happy to have this copy. I only ask for you to cover the shipping costs from Cincinnati, OH. It's usually just under $5 for media mail. 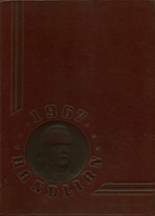 I would like to find a yearbook for 1967.